A staggering mega-archipelago of French Polynesia offers countless tropical pleasures for travellers with adventurous spirits. While islands like Tahiti and Bora Bora serve as the poster-boys of such a large assembly of islands, it would be unfair to waste an opportunity to visit other fragments of land that offer just as many intriguing delights. You can begin your “off the beaten path” adventure by going to one of the islands that is actually not that far away from the central hub of Tahiti. 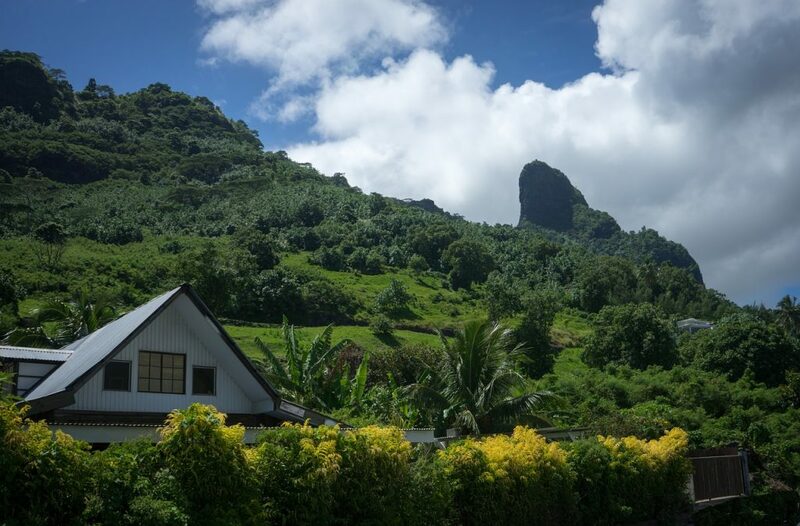 With that in mind, here’s why travelling to the island of Moorea is a must and what to do when you are there. What’s the deal with Moorea? It would also be unfair to say Moorea is not frequently visited. In fact, it is one of the top honeymoon destinations of all the Society Islands – a smaller archipelago of French Polynesia in the vicinity of Tahiti. 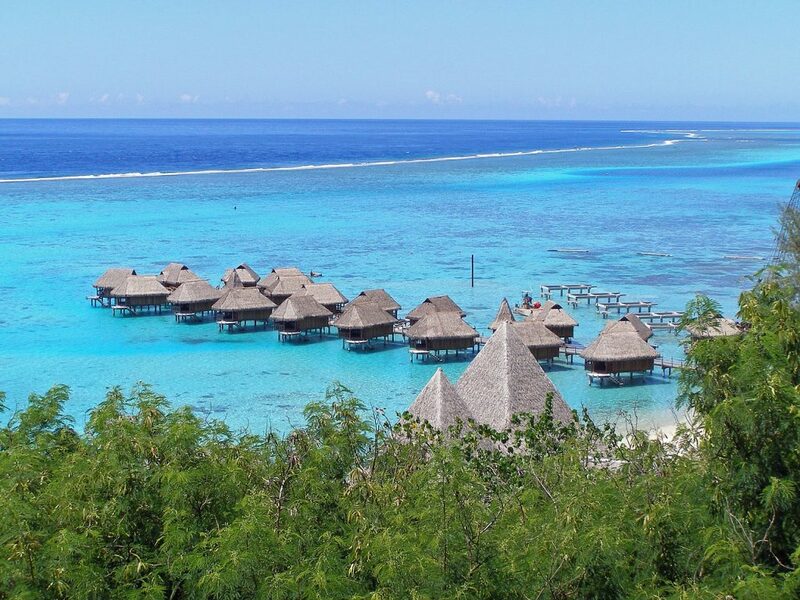 Actually, it would be a small wonder if nobody visited Moorea – it takes just a forty-minute long ferry ride from Papeete to reach its enchanting shores. It’s just that it offers a more rugged experience when compared to the more popular counterparts. Moorea doesn’t have big cities – its urban landscape mostly consists of smaller villages that dot its coastline, and Paopao is the only town that cuts in deeper inland. The beauty of the coastline is hard to deny, and you can liberally embark on a session of beach hunting if you want to find your private little corner of sand concealed by shrubbery. The most popular beach by far is Temae, on the east side of the island and near Aeroport de Moorea. 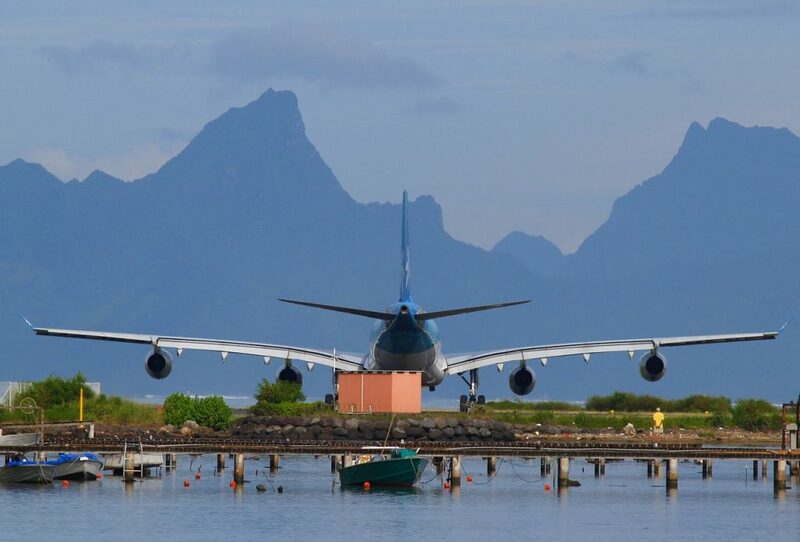 The beach boasts a killer view of Tahiti island and its capital Papeete. You can go swimming, snorkeling, jet skiing and diving. If you want to explore the surrounding waters, make sure to reach certified diving operators who are active on the island. It shouldn’t be too hard. Overwater bungalows have practically become a symbol of tropical tourism. They are usually built on stilts in the shallows, and offer an immersive type of shelter that blends in with the environment. The reliable chain of Sofitel hotels is particularly renowned for offering a whole range of such bungalows, and you can rest assured their integrity is quite solid. The price range of these accommodations can range according to the level of luxury and the number of amenities it offers, but it can definitely be a welcoming change of pace from run-of-the-mill hotels. 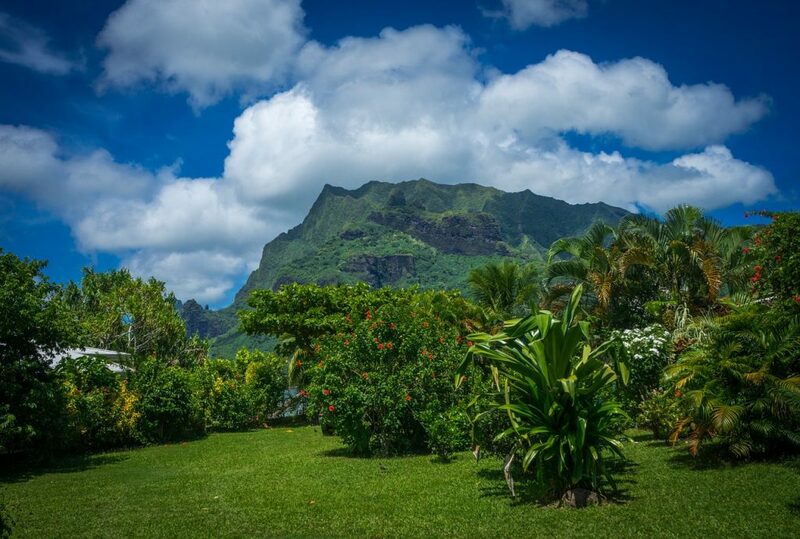 Most of Moorea’s inland consists of epic topography and lush greenery. As such, it is a perfect destination for casual adventurers who enjoy hiking and revelling in the magic of untouched nature. The upside of this is that the island itself is not particularly big, which means you can hardly stay lost even if you lose your bearings. Should you end up in the thick shrubbery without a compass, not knowing where you are, you can just start walking in one direction and you’ll be out on the shore in no-time. Now, whether you are enjoying a hike on the winding trails or the comfort of a 4×4 vehicle as you embark on a guided off-road tour of the inland, you simply cannot miss to enjoy several sites. Belvedere Lookout offers a jaw-dropping vista of Opunohu Bay and Cook’s Bay, as well as the sacred mountain Rotui. The panorama literally begs for a long photo session. Furthermore, on your way up to the lookout, you’ll get a chance to see some truly intriguing ruins of ancient temples. However, beautiful greenery and mystifying ruins is not all the thick forest conceals. Moorea is also renowned for several absolutely gorgeous waterfalls which are scattered around the island. Moorea is not exactly known for its strong urban infrastructure, which is the exact selling point of this small tropical paradise. Apart from a few villages, you are surrounded with lush biome that is just as enticing for adventurers as it is relaxing for casual tourists. There is a raw and “real” quality to this island, and yet it is not that far away from the urban hub of the region – Papeete. This renders it an ideal getaway spot for every type of holiday. I can’t believe how beautiful this is! I can’t believe I haven’t read about this before!